A pool of potential speakers and foray mycologists is listed below in alphabetical order. We have included a wide range of professional and amateur mycologists — with topics, limitations and interests as provided by the participants. You can learn more about these mycologists from the links provided. Please use these speakers and mycologists for your club meetings and events. Contact the speakers directly. It is up to your club to negotiate fees and travel arrangements. 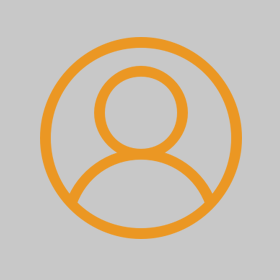 To find a speaker and description, scroll down. This page will be updated frequently; look for additional speakers in the coming months. If you know of a speaker who should be included, please contact David Rust by email. 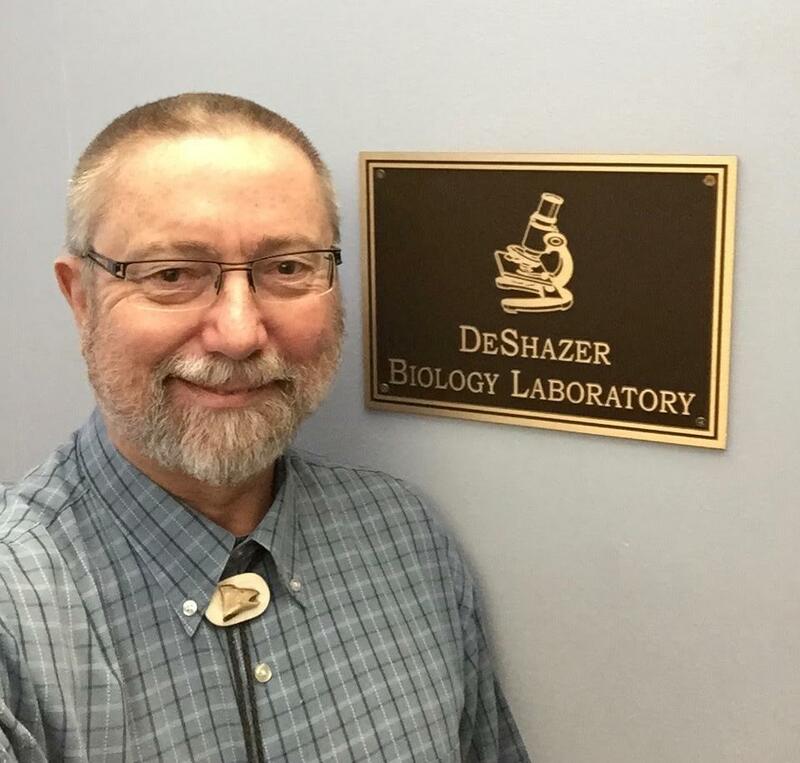 I am currently Professor of Botany & Plant Pathology at Purdue University in West Lafayette, Indiana, where my primary area of research focuses on the systematics, evolution and biology of tropical agarics and rust fungi. I am also director of the Arthur and Kriebel Herbaria. I enjoy serving as a speaker or foray mycologist with NAMA groups. I have spoken in the past to NAMA clubs in DC, MD, CA, ID, MO, and MS. My favorite topics are 1) fungi that cause disease on plants, and 2) exploring for new species of fungi in the tropics. As a PhD student at the University of British Columbia, I am interested in the taxonomy and systematics of Russula of the Pacific Northwest. One aspect of my work I would like to share involves using this complicated group as an example of collaboration between mycological societies and academia, towards the better understanding of the systematics and taxonomy of our local mushrooms. More specifically, I have been working on the Benjamin Woo Russula collection from the Burke Museum, to barcode the Russulas of the Pacific Northwest. 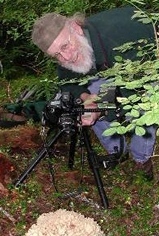 I am Professor Emeritus of The Evergreen State College and an award-winning photographer, with photographs published in roughly 30 books. I am coauthor (with Alan and Arleen Bessette) of Ascomycete Fungi of North America: A Mushroom Reference Guide, University of Texas Press, 2014. I write about mushrooms in McIlvainea, The Mycophile, Fungi, and Mushroom: The Journal of Wild Mushrooming. I was winner of the 2006 NAMA Award for Contributions to Amateur Mycology. I currently study the unique fungal ecosystem associated with Quercus garryana, characterized largely by a diversity of Cortinarius species (approximately 50 species discovered over 6 years). The oak forests have also yielded new species of Russula, a new Amanita, and a new Sarcomyxa as well as numerous species previously thought to be restricted to California and Southern Oregon. I frequently serve as a foray mycologist in western North America. Will travel if most expenses are paid. I am typically not available in October (grape harvest time and wine making). Travel from December 15 to Feb 15 can be difficult due to snow and ice. I would be happy to give talks to NAMA audiences, and have previously spoken at local clubs, including the MSSF, FFSC, and SOMA. My professional work is primarily on community ecology of ectomycorrhizal fungi, but I have also helped to spearhead the Point Reyes Mycoblitz, which is an ongoing effort to catalogue and voucher the macrofungi of Point Reyes National Seashore. 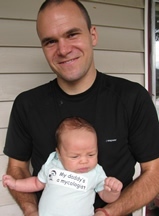 You can access reprints of my scientific papers, information on the mycoblitz, lab, and information on people in my lab at the link below. I would very much like to contribute to NAMA as a speaker. I have given lectures at a number of NAMA meetings (CO, NM, TN, CA) in the past. I would probably be available for any part of the country as long as it is mushroom season. Giving talks about Truffles and Coral fungi is my choice. I will travel to any part of North America, however, I am not familiar with corals outside the Western US (but that will make it more interesting to me)! Nice people and good wine makes a perfect topping to a Fungal Foray! I am a member of the Southern Vancouver Island Mycological Society. I have a presentation "Little Brown Mushroom Demystified," which shows the microcharacters important for identification, and a presentation "Longterm Survey of Fungi on Observatory Hill, Victoria, British Columbia, Canada." Olga and I offer cultivation, identification, mycoremediation, and specialty lectures/workshops. We are located in the upstate of South Carolina, between Greenville and Clemson University, so the Southeastern Region is most feasible for us cost-wise. We would love to visit all 50 states of course, but that depends on the host club providing some financial support. Our web site hosts educational videos and also provides our schedule of venues. 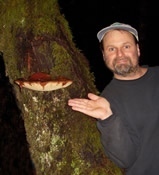 Darv is a retired high school Biology & Chemistry teacher with talks on West Coast edible mushrooms and also on Polypores. 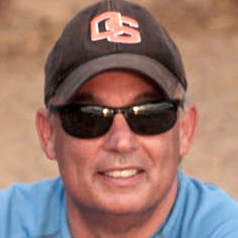 He was co-founder of the Sonoma County Mycological Association (SOMA), serves as its Science Advisor, originator of the insanely popular SOMA Winter Camp and the SOMA Scholarship Program. He identifies toxic mushrooms for vets, hospitals and concerned citizens in Sonoma County, California. Todd Elliott (Instagram) is a native of the southern Appalachian Mountains and is a freelance biologist, naturalist, forager, and lecturer with a passion for fungi. Todd is known for his entertaining, fact-filled programs. 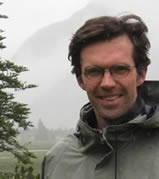 His research has focused on studying global biodiversity and interrelationships in nature. 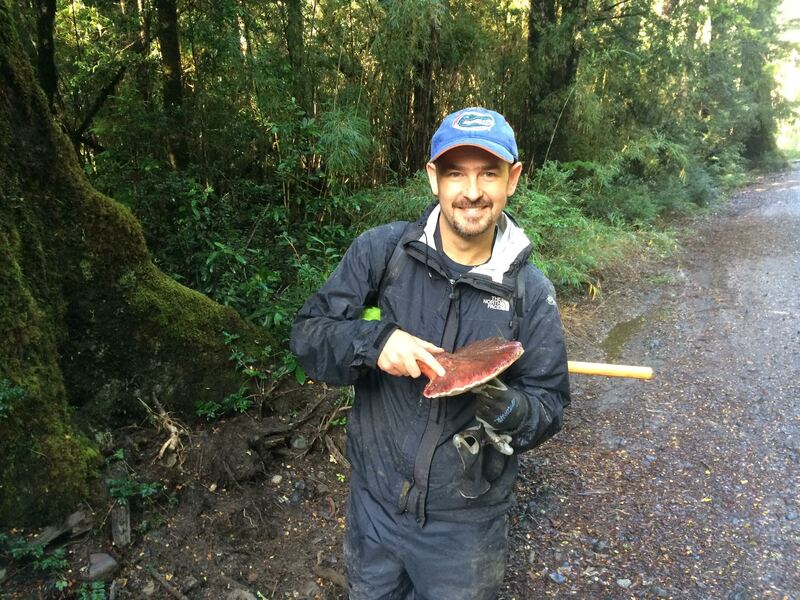 These studies have taken him to remote corners of six continents allowing him to study the biodiversity of fungi and their ecology around the world. Todd has discovered and described species of mushrooms that are new to science and is an award-winning nature photographer. Hundreds of his images have appeared in books, magazines and scientific journals. Talks (including fiddling, stories, songs, and other forms of entertainment relevant to fungi) can be customized for your event. Willing to speak on BC, Canada fungi. I've done several talks about mushrooms in general, mostly about mushrooms that can be found in SC, GA, and parts of NC. I usually present lots of tidbit information and try to dispel many folk tales about mushrooms. I usually tell the audience about the many uses that have been or are being developed using fungi. It's pretty broad based and I don't go into much detail but items like fungi can help with bio remediation of polluted water, control insects, etc. I could also lead forays for local organizations to let people know the basics about mushrooms. I usually limit myself to a 100 miles radius. I am a Teaching Associate in the Biology Department, University of Washington. From 2004-2006 I held a position at the University of Washington herbarium (WTU), Burke Museum of Natural History, as Assistant Curator of Lichens and Bryophytes. I continue my curatorial interests as Museum Curatorial Associate in the herbarium, where I manage historic collections and process lichens from the Pacific Northwest and Russian Far East. 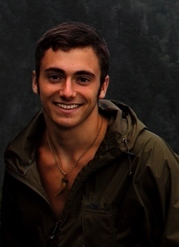 Research interests include alpine lichen community structure on Mount Rainier, Olympic and North Cascade Mountains. I have made collections from Mount St. Helens, looking at successional patterns. I also study lichens from island ecosystems (San Juan Islands and Sakhalin Island, Russia). 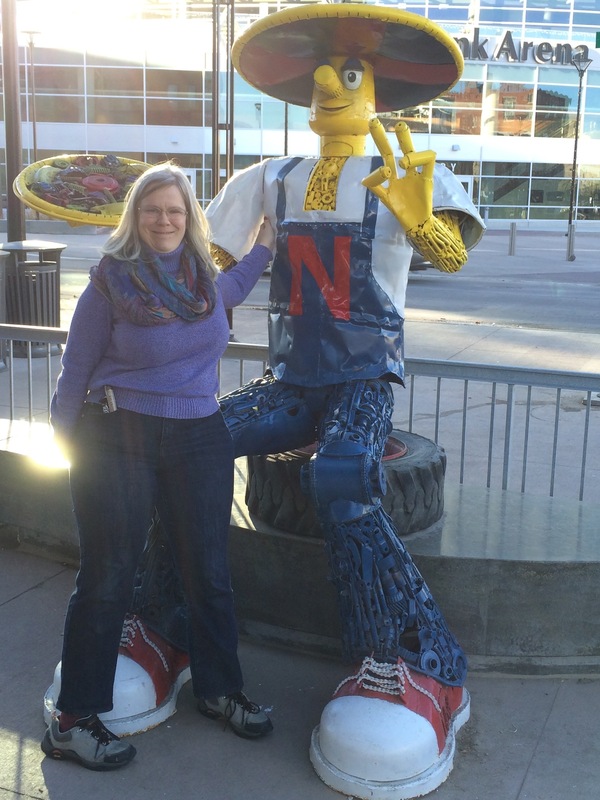 I am a food mycologist at the University of Nebraska-Lincoln, and can talk on food mycology, the human mycobiome, molds and mycotoxins, or mushroom poisoning (as well as general fungal talks). 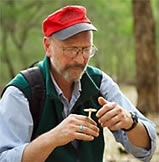 Roy E. Halling is Curator of Mycology, Institute of Systematic Botany, at the New York Botanical Garden. 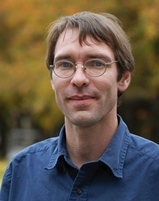 He is interested generally in mushroom systematics and mycogeography with particular focus on Boletes. One of my favorite topics for talks, and my professional specialty is "the taste of mushrooms." I would also be interested in speaking on the Rocky Mountain National Park Mycoblitz, "how to conduct a mycoblitz," or "snowbank mushrooms." I’d pretty much go anywhere if the transportation is paid for. I'm working on the gasteromycetes of Hawaii. My article on stinkhorns of Hawaii will be in the summer issue of FUNGI. I'm ready to send a manuscript off with 20 species of earth stars, two described as new. I'm always available to give a talk on Hawaiian mushrooms, but it would have to fit in with one of our trips to see relatives in the midwest. Let me know if you need a speaker and we'll see if we could fit it in. I would love to go to a NAMA foray. My interests are mostly in evolution of mushroom-forming fungi. Our lab studies evolutionary biology and ecology of Fungi, principally Basidiomycota (mushroom-forming fungi and relatives). Much of our work is focused on molecular systematics and the uses of phylogenetic trees for studying the evolution of morphological and ecological characters. Other projects involve molecular ecology, evolution of lignin-degrading enzymes, and phyloinformatics. I work mainly on strange and esoteric microfungi. I am a systematic mycologist. My focus is on teaching and learning about the classification, evolution, and characterization of fungi. My focus is in fungal biodiversity, especially of species that are pathogens of insects. I use molecular and morphological approaches to discover their relationships, devise classification systems, and understand factors that have driven their evolution. I direct the Cornell Plant Pathology Herbarium (CUP), a world-class collection that documents the earth's diversity of fungi and plant disease organisms. (I'm not often willing to travel far). I would be happy to lecture to clubs on one of two potential topics (1) Great Moments in History and How Fungi Got Us There (an informative but somewhat tongue-in-cheek rendition of the role of fungi in human affairs) and (2) Magical Mushrooms, Mischievous Molds (this latter, an overview of my course with interesting tidbits about fungi of all kinds; not just the larger sporocarps. I'm most available from September-December in odd years (e.g. 2009, 2011, etc) but can consider other invites. I have delivered presentations and served as a field mycologist at conferences sponsored by several NAMA affiliated clubs including the Gulf States Mycological Society, the Missouri Mycological Society and the Texas Mycological Society. I can present general programs about mushrooms designed for beginners as well as one focusing on mushroom toxins. I have done one-day workshops consisting of a foray followed by mushroom identification and a program. 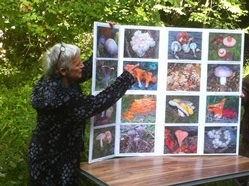 Such workshops were oriented toward teaching individuals mushroom identification skills. Programs that I have done on specific types of mushrooms include presentations on the genus Amanita in the South and Southeast areas of the U.S. as well as Southern boletes. I am willing to travel and speak to mushroom clubs if I can be reimbursed for the cost of such transportation. Like most mycologists I greatly enjoy traveling to new areas and meeting other mushroom enthusiasts as well as seeing new mushrooms. My mushroom/fungal identification skills are the highest in the South and Southeast regions of the U.S.
Life: What's it all about, and where do mushrooms fit in? Fungi - Common, Rare and In-between. How can we tell? I am happy to speak at NAMA events and for local mushrooming clubs. I have given talks at MSSF (California), OMS (Oregon), NATS (Oregon), PSMS (Washington), PNW Key Council (Washington). I am a fungal ecologist broadly interested in plant-microbe interactions. My research has focused mostly on the ecology of the ectomycorrhizal symbiosis, especially how fungal communities are affected by factors such as competition, host specificity, and biogeography. I am generally busy with teaching commitments in the fall semester, but can travel locally during that time. I am available to provide talks to NAMA on basidiomycete systematics, evolution, biogeography, and teaching the fungal tree of life. My current research focus is on the mushroom family Inocybaceae, which is proving to be considerably more diverse throughout the world. I can present several topics, including Mushrooming for Beginners, Systematics, Biodiversity Studies, Historical Mycology and Mycophagy. I am willing to travel great distances to present talks/lead forays as long as I can make it work with my family and cover expenses. I’ve served as a foray mycologist and speaker at numerous NAMA and local club events over the last thirty years. 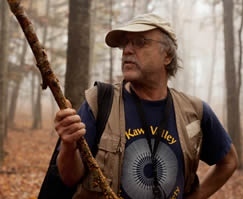 I’ve also hosted workshops in Michigan, the Great Smoky Mountains National Park, and currently teach a two-week summer course every other year at the Highlands Biological Station in North Carolina. My background is in systematics and ecology of fleshy fungi with a specialization in Lactarius and Clavariadelphus. I’ve given talks on mushrooms for beginners, mushroom identification, poisonous fungi, and just plain cool fungi. I’m willing to serve as a foray mycologist in the Midwest and the Appalachian mountains. I’m flexible with regards to the kinds of talks I can present and willing to travel anywhere my expenses can be covered. 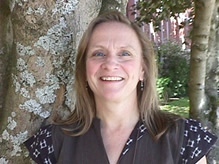 Dr. Methven is Chair in the Department of Biology at Savannah State University. As a mycologist, ethnographer, and Arctic explorer, I've been known to give presentations about the non-culinary uses of fungi by northern Native people, fungi in the high latitudes, and rare and unusual fungi, i.e., species that require a bit of exploring to find. Likewise, I'm willing to talk about polypores, crust fungi, and fungal ecology. I've led forays for various groups not only in the US, but also in Canada, Iceland, Belize, Honduras, and Greenland. In addition to papers and articles about fungi, I've written two books on the subject: Fascinating Fungi of New England and Giant Polypores & Stoned Reindeer: Rambles in Kingdom Fungi. Philosoforager, stand-up mycomedian, and epicure of the obscure, Alan Muskat has been taking people “out to eat” for over twenty years. 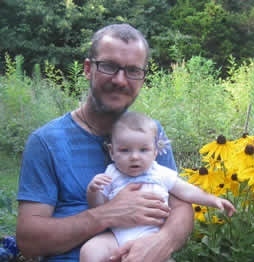 He is the author of Wild Mushrooms: From Forest to Table and Coming Home: Finding our True Nature. 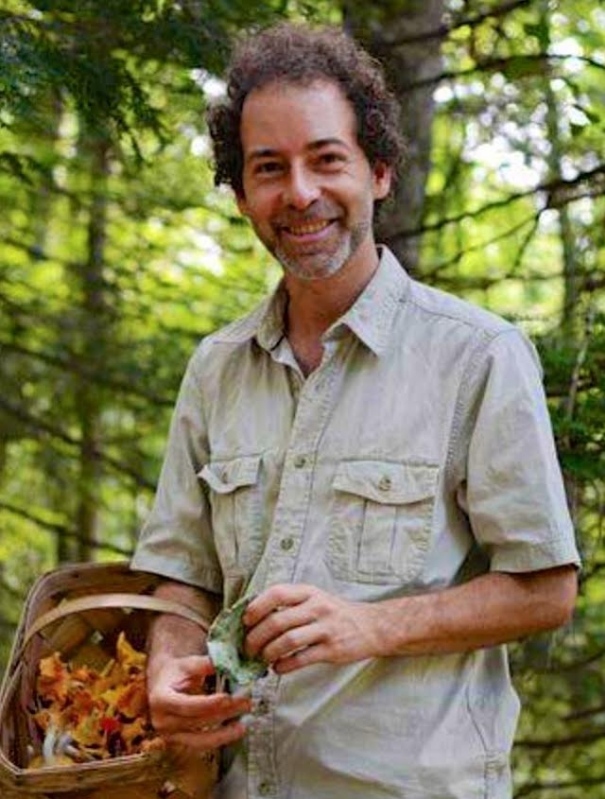 He founded the first forage-to-table tour company in the country, launched the first wild foods public education program on the continent, and runs one of the largest foraging tour companies in the world. I am happy to talk about my diversity work from Olympic National Park and related topics, as well as bioremediation and biodiversity prospecting, and my work conducting regional surveys for rare fungi. I also regularly teach introductory mushroom ID and give lectures on general fungal ecology. I have over twenty five years experience collecting, studying, growing and eating mushrooms. 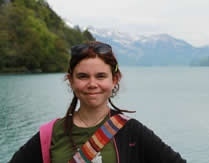 I have many publications including scholarly papers, books, chapters and field guides and conducted field ecological studies in Olympic National Park as a National Science Foundation Postdoctoral Fellow. 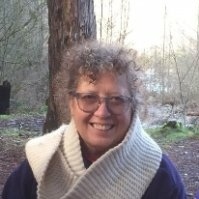 I currently am Research Biologist for Nature Tech Nursery, Langley, BC where I work on growing plants in test tubes and employing fungal and bacterial symbionts to grow diffiicult to propagate plants. As for speakers bureau and foray mycologist, I am up for going anywhere if travel expenses are covered. I would be especially interested in Hawai'i. I am currently Assistant Professor in Biology at the University of Wisconsin-La Crosse. 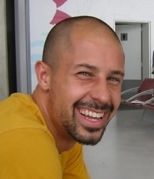 My research interests include fungal diversity, evolution, ecology and conservation. 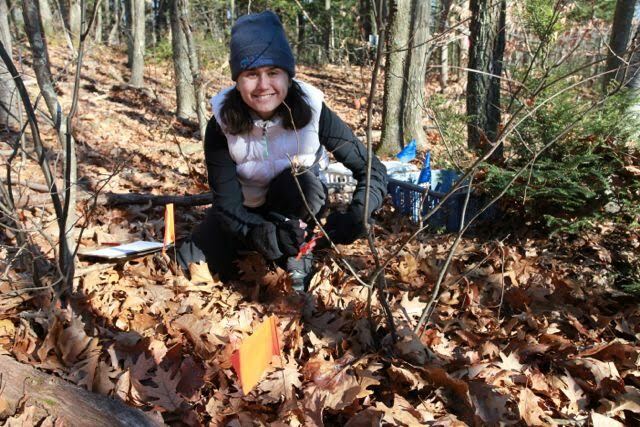 Recent projects have employed field studies and molecular genetics to study mycorrhizal fungi in high-elevation habitats, phylogenetic studies of the boletes (especially Tylopilus), and responses of arbuscular mycorrhizal fungi to global change. My current research is on the Moorea Biocode Project, an effort to taxonomically characterize the biodiversity of a model Pacific tropical ecosystem. I have presented programs for COMA, BAMS and MSSF. 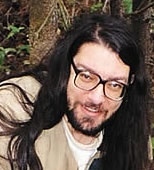 I am available to serve as a speaker or foray mycologist for NAMA and local mushroom club events. Potential topics for talks include conservation of fungal biodiversity, a role for mushroom societies in biodiversity science, evolutionary concepts and the changing classification of mushroom-forming fungi, mushroom systematics and taxonomy (including hands-on workshops and short courses), and topics pertaining to the research projects mentioned above. My research is on the species diversity and ecological assembly of ectomycorrhizal fungal communities, as well as the effects of ectomycorrhizal fungi on plant physiology. I've worked primarily in coastal California and a little bit in Malaysian Borneo. I don't have any places or times that are blacked out for speaking, but I'm fairly busy so speaking engagements would probably have to be decided on an ad-hoc basis. Carnivorous and Cannibalistic Fungi: Mushrooms that grow on other mushrooms, people, spiders, insects, etc. I have also done a Mushroom Cultivation Workshop (not a slide show) with take-home mushroom kits that can be provided or log cultivation, as well as any other shows on other topics can be easily put together. I give talks the entire year and provided I do not have a talk already scheduled for the same date, I am available anytime. Willing to travel. Currently I am exploring the ecology and evolution of introduced and invasive fungi, and the biomechanics of fungal spore dispersal. I am also interested in the conservation biology of fungi. Local(midwest) travel will be easiest for me! * For smaller audiences (<75), these talks can be in full color, zooming stereo using a dual projector system and polarized glasses (I can provide but need some support for upkeep); a special reflective screen is needed which I can bring when close to home. Otherwise, I use Keynote (Apple’s version of PowerPoint) on a MacBook I bring. 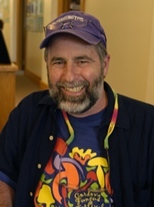 I am an archivist, past president of the Connecticut-Westchester Mycological Association (COMA), member of NAMA’s Education Committee, and contributing editor to FUNGI Magazine. My column “Notes from Underground” appears regularly in FUNGI. I am available to give talks in the eastern U.S. and will consider other locations depending on the circumstances. My presentations include Mycology is Mushrooming (introduction to mycology); History of Mycology; Literary Natural History; Mushrooms in Literature and Poetry; Mushrooms in Popular Culture; Myxomycetes; Mycologists of the 19th and 20th Centuries; Nomenclature and Taxonomy. I also give readings of poetry and literary texts on various mycological and botanical subjects. My earlier “Notes from Underground” articles may be found on the Connecticut-Westchester Mycological Association (COMA) website. Though my yen for traveling is diminished, I am willing to be considered for talks in two categories: The history of mushrooms, especially through our efforts to keep up the Registry of Mushrooms in Works of Art; and my blog that includes fungi (click on "fungi" under categories, or follow this link). It includes quite a bit on aspects of fungal biology that I have found exciting and which have also served as the basis for talks. I have given talks to most clubs from Southern California to Oregon, so these folks know about me. For other areas, it depends on where and when. 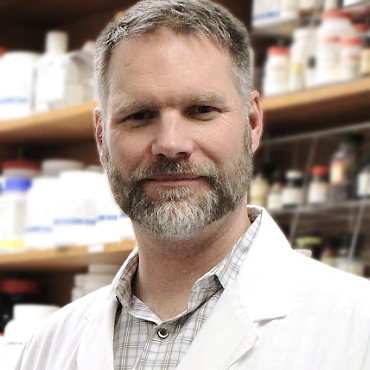 I am Associate Professor in the Department of Bioproducts & Biosystems Engineering, and adjunct faculty in the Department of Plant Pathology at the University of Minnesota. I am happy to speak about fungi, their role in decomposing wood and their potential in biotechnology. I am a biologist who needs to brush up his field ID skills. I can't travel very far from the Twin Cities, but I do travel around alot for meetings and field research, so could coordinate something. My primary interest is in interactions between humans (and other animals including insects) and fungi. Much of my work relates to moulds and other microfungi, (like moulds that produce penicillin that grow in houses, or sooty moulds that grow around distilleries). I also serve as the regional expert on mushroom poisonings for Southern Ontario, and have been involved in a number of interesting and serious cases. One of my side interests is ethnomycology, particularly folkloric mushroom edibility tests. 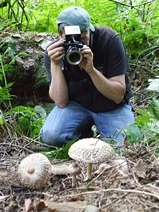 Leon Shernoff is the editor of Mushroom, the Journal of Wild Mushrooming (www.mushroomthejournal.com). A former president of the Illinois Mycological Association, he has spoken and served as a foray mycologist at mushroom clubs in Washington, Oregon, California, Connecticut, Maryland, Missouri, and of course Illinois. He has spoken on local edibles, specific groups of mushrooms (mostly boletes) and has a humorous but instructive introduction to how scientific names work. I like speaking on mycorrhizal networks, mycorrhizal succession in forests, and the role of mycorrhizae in ecological resilience to disturbance or climate change. My availability is highly idiosynchratic, but I am least likely to be available from Sept to April when I am teaching at the University of British Columbia. 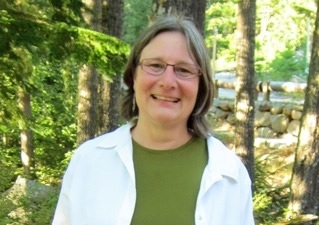 Dianna has conducted mycology workshops at Eagle Hill Institute in Maine and for the Pioneer Valley Mycological Association in western Massachusetts. 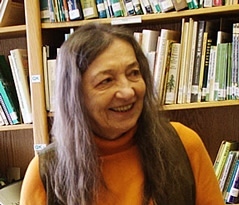 She gives presentations and guided walks in NY, CT, VT and MA for universities, mycology clubs, state parks, garden clubs, nature preserves and sanctuaries on various subjects for novices including: Edible Mushrooms and Their Poisonous Lookalikes; The Ecological Functions of Fungi; Major Morphological Groups of Fungi; Mycorrhizal Mushrooms; Polypores: Fungi for All Seasons; The Boletales; Russula, Lactarius and Lactifluus; Keeping Abreast of Fungi Name Changes and Taxonomy; Amanitas and Tips on Successful Mushroom Photography. I am currently an assistant professor at the University of Florida in the Department of Plant Pathology. I also serve as the curator of the University of Florida Fungal Herbarium. I am broadly interested in fungi and have studied fungal ecology, evolution and systematics. My main areas of interest are ectomycorrhizal fungi (both ecology and systematics) and the systematics of truffles and truffle-like fungi, but I have also worked a bit on wood decay fungi and nematode-trapping fungi. I love a chance to get out in the woods and look for fungi and I am also pleased to present talks on ectomyocorrhizal ecology. In the recent past I have worked on ectomycorrhizal systems in Guyana, Chile-Argentina, China, and Mexico, so I have plenty of good material that is interesting for all sorts of mycophiles. 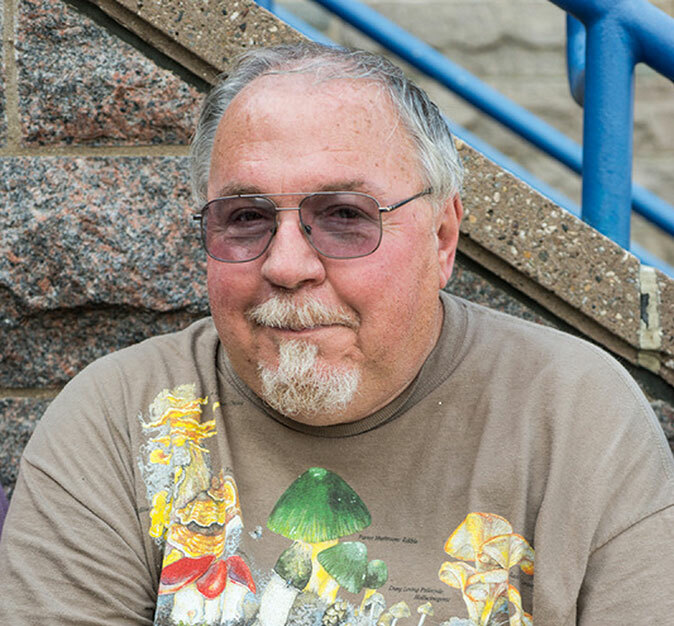 Ron Spinosa is past president of the Minnesota Mycological Society and current editor of the society’s newsletter, “The Toadstool Review.” He is the Chair of the Mushroom Cultivation Committee of the North American Mycological Association. 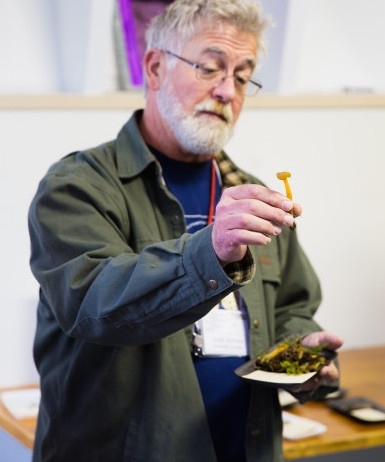 Ron presents workshops on mycology, mushroom identification, and mushroom cultivation in the Twin Cities area of Minnesota. 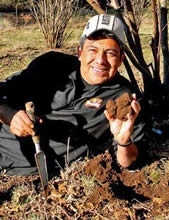 Ron’s area of special interest is Mushrooms and Sustainability: The potential for mushroom cultivation to utilize agricultural waste for nutrition, poverty reduction and community building in developing nations. Dusty Yaoarranges my lecture schedules and has a simple form for fielding inquiries. Due to high demand, we are often booking more than one year in advance. I could speak on a variety of topics including Lactarius, Amanita, mushroom odors, Boletes, wax caps, habitats, lignicolous agarics, Algonquin Fungi and several other topics. I also can serve as foray mycologist in NE North America and the Appalachians. I am pleased to give presentations to mycological groups and classes, and enjoy leading or participating in fungal forays. My specialty is the ecology and taxonomy (identification) of North America’s native truffles (I am not an expert in truffle farming), but I’m also pretty handy with mushrooms, plants, lichens, and bringing the whole picture together. I’ve given numerous presentations on the basics of fungal ecology, fungal evolution, lichens, and forest ecosystems, and I’m happy to put together a presentation to address a specifically requested topic. I strive to make my presentations humorous, visually intensive, and accessible to beginners. Several of my slideshows are available for educational purposes on the North American Truffling Society website, www.natruffling.org/links.htm under the “Presentations” heading. I love to travel and am always excited to meet new people and see new places. 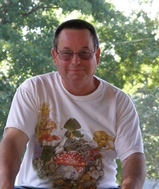 John Trestrail is a life member of NAMA and a member of the New Mexico Mycological Society. He served as the Chairman of NAMA's Toxicology Committee from 1990-1999. 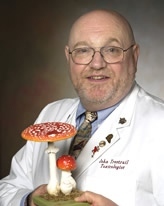 He is one of the contributing authors to the book Handbook of Mushroom Poisoning: Diagnosis and Treatment, by Spoerke and Rumack, published in 1994. 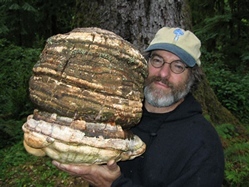 He has presented many lectures on mushrooms both in the USA, Europe, and Asia. Mr. Trestrail served as a volunteer with the United States Peace Corps from 1968-1970. He is a practicing boarded toxicologist, and for many years, was a visiting instructor at the FBI National Academy in Quantico, Virginia, on the subject of criminal poisoning. For 33 years (1976-2009), he served as the Managing Director of one of the nation’s certified regional poison centers. He has been honored as a Fellow by the American Academy of Clinical Toxicology, and is a Diplomate, by examination, of the American Board of Applied Toxicology. Mr. Trestrail founded the Center for the Study of Criminal Poisoning, where he now serves as the Director, as well as the Toxicological History Society. He has been featured in multiple episodes on The Discovery Channel, The History Channel, The Learning Channel, and PBS. He is the author of the pioneering book Criminal Poisoning: An Investigational Guide for Law Enforcement, Toxicologists, Forensic Scientists, and Attorneys, published by Humana Press, in 2000 (2nd edition in 2007). He is also one of the co-editors of the popular book Toxicology Secrets, published by Hanley and Belfus Publishers, in 2001. His third book The Poison Quiz Book 2nd Ed., was published by McGraw-Hill, in 2006. I can give talks on topics such as mushroom ecology, mushrooms and the environment, mycorrhizas, mushroom diversity and taxonomy, and surveys of genera or other groups of mushrooms. The content of most of my talks can be geared to the audience’s level of fungal knowledge and experience, from absolute beginners to grizzled mushroom hunters to those with backgrounds in university-level science. For forays, I can also do workshops on mushroom ID and photography. I am available depending on commitments I have already made. My busiest times usually are mid-August through early September and most of October. I am willing to go pretty much anywhere, and greatly prefer visiting areas during their mushroom season! Biodiversity and conservation are topics close to my heart. My work focuses on the systematics of the beautiful parasol mushrooms in the genera Lepiota, Leucoagaricus and Leucocoprinus, with sidepaths into Pluteus, Helvella and some other nice genera. The main questions I try to answer are: which species are there in California, how do we recognize them and how are they related to each other and to the other members of their respective families. I am involved in the digitization of the fungal herbarium collections at 2 universities in California. I am happy to talk on recent developments in mushroom classifications, conservation and a variety of other topics, either as a speaker or as foray mycologist. I write about new discoveries in mycology for the Mycena News, and FUNGI the magazine. And lastly, I am an avid mushroom dyer and knitter. My biography can be found on the BAMS website. My writings appear frequently on the BAMS Yahoo discussion group. I’d be glad to speak to any mushroom club or foray, if my transportation costs are covered. I love visiting new areas, meeting new people and learning new mushrooms! My departmental web site lists my main research interests, and I'd be happy to speak on a variety of topics relevant to amateur mycology for NAMA clubs around the country. I am also most pleased when invited to serve as a foray mycologist. My programs, walks and classes are for beginners to help with observation skills which are the first steps to mushroom identification. Through a series of slides and samples I do an interactive program on fungal characteristics such as gills or pores, cap textures, sizes and colors as well as habitat and plant associations. Longer classes practice using keys and delve deeper into fungal ecology. I briefly touch on edibility, but it is not the focus of my classes or talks. 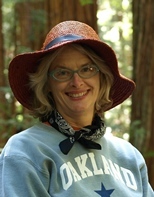 I am an Environmental Educator with a background in Geology and Science Education. In 1988 I took my first mushroom identification class and began my fascination with mycology. In 1989 a small group of us started Northwest Mushroomers Association in Bellingham, WA. I started teaching beginning Identification classes in 1994 and currently teach through North Cascades Institute and Seattle Public Utility District. I am a former president of the Pacific Northwest Key Council. My research focus explores the evolution of diversity in mushroom forming fungi and their relatives. It is fascinating to me that fungi are one of the most diverse groups of multicellular organisms, but exist in a microbial world that is practically unknown to us. To explore the historical and functional diversity of fungi I use phylogenetic analysis of DNA sequences to address the factors that are involved in the migration of cosmopolitan fungi. Historical biogeography of fungi is virtually unexplored. My research has served to explain how particular lineages of Boletes originated in the tropics of Southeast Asia and China and into the New World. In addition, I have used phylogenies to address how ectomycorrhizal relationships have developed between specific groups of mushroom-forming fungi and their host plants, and also how the evolution of puffballs differs from that of their mushroom relatives. Once you go gasteroid, you don't go back. Evaluating the question of whether puffballs will dominate the world of mushroom forming fungi.